Materials fee of $80 inc. papyrus, mica, handmade papers, milk paint, waxed linen thread, needles, other needed materials, use of tools, and handouts. Create a small, durable book structure, working with both traditional and not so traditional materials and techniques. By laminating papyrus and handmade papers, you’ll build a multi-layered surface that you will paint and sand. We’ll explore various uses of mica, learning to work with natural as well as a man-made mica sheet. 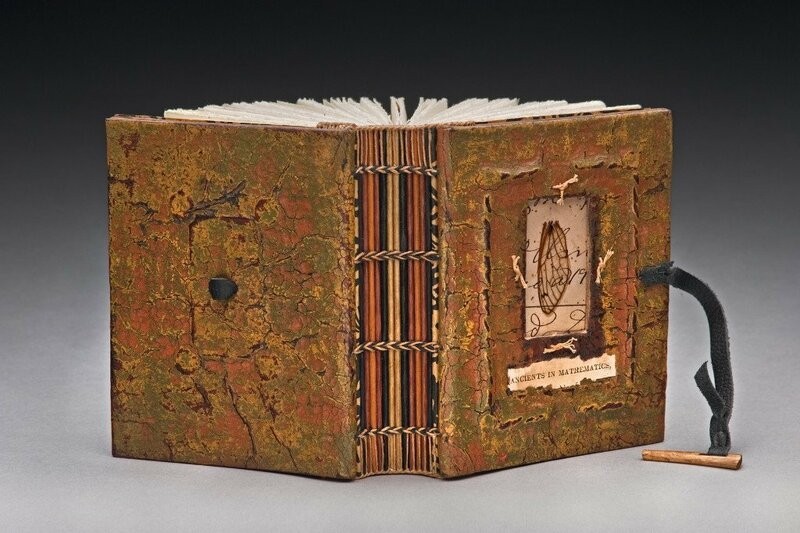 Our books will feature an elegant 4th century Coptic binding that has withstood the test of time for its flexibility and strength. 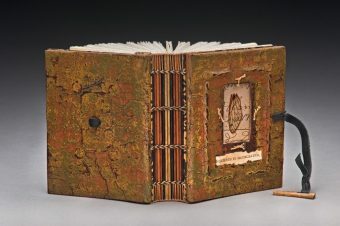 If time allows, you’ll have the opportunity to create a niche or alcove on the back of your book to house and protect treasures, images and words.